in GBP to DKK, GBP to NZD, NZD to GBP. 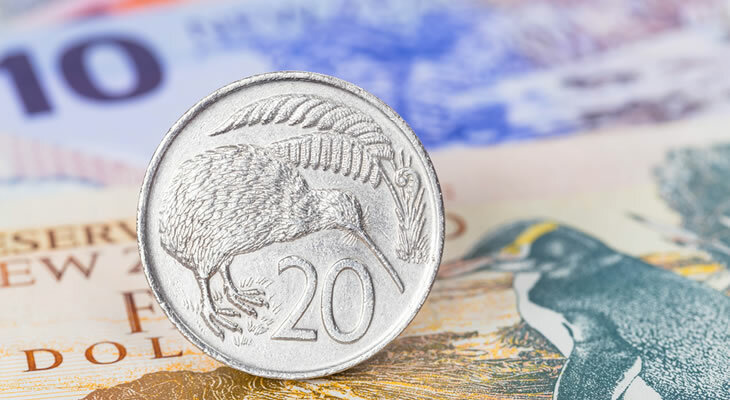 The Pound Sterling to New Zealand Dollar (GBP/NZD) exchange rate has declined again today after UK Trade Balance figures for June showed that the UK Visible Trade Balance deficit increased further into a negative figure. The Pound Sterling (GBP) has declined by -0.2% against the New Zealand Dollar (GBP/NZD) today, in a second day of bad news for the UK economy. The Pound has also fallen by -0.4% against the Australian Dollar (GBP/AUD) and -1.3% against the Russian Ruble (GBP/RUB). Elsewhere, the Pound has gained by 0.2% against the Indian Rupee (GBP/INR) and by 0.4% against the Turkish Lira (GBP/TRY). The Pound’s value dived yesterday, when a worse than predicted voter ratio for the UK interest rate decision sent the Pound spiralling down against all major rivals, even the beleaguered commodity currencies (AUD, NZD, ZAR) who face their own problems with a commodity pricing and demand crisis. Although the recorded UK Trade deficit increase was predicted, the actual figure was lower than forecast, which has limited the Pound’s losses today. Next Wednesday brings the release of the UK July Claimant Count Change and June Unemployment Rate figures, both of which have been optimistically predicted to drop. The Pound Sterling to New Zealand Dollar (GBP/NZD) exchange rate has declined slightly today ahead of the Bank of England (BoE) Monetary Policy Committee (MPC) meeting. The MPC will be deciding the UK interest rate today and while an immediate increase is not expected, any signs that Committee members are divided on the matter are sure to make the Pound (GBP) rise against the ‘Kiwi’ (NZD). In a first for the BoE, the minutes of the meeting will be released at the same time as the actual interest rate announcement, so if some members are shown to have dissented against keeping the interest rate at 0.5% this year, these gains are likely to be amplified per person in disagreement. The greatest gains for the Pound ahead of the decision have been a 0.5% rise against the Swiss Franc (GBP/CHF), and a 1.8% gain against the Russian Ruble (GBP/RUB). The Pound Sterling to New Zealand Dollar (GBP/NZD) exchange rate has risen today after the Australasian nation recorded worse employment and unemployment results than expected. The Pound Sterling (GBP) has gained by 0.3% against the New Zealand Dollar (GBP/NZD) today, and seen greater rises elsewhere. These include a 0.4% rise against the Australian Dollar (GBP/AUD) and the Danish Krone (GBP/DKK), and an over 0.6% advance against the South African Rand (GBP/ZAR) and the Turkish Lira (GBP/TRY). The Pound’s gains today come after the UK July Services and Composite PMIs recorded a slight slowing of growth, from 58.5 to 57.4 for the former and from 57.4 down to 56.6 for the latter. In spite of this, a figure above 50 is still a sign of growth for an economy; Markit Chief Economist Chris Williamson said ‘Despite the dip in the PMI in July, the Service sector continues to act as the main driver of economic growth’. The New Zealand Dollar (NZD) has performed poorly today after Q2 employment figures were worse than predicted. The Unemployment Rate increased by 0.1%, the Participation Rate dropped by -0.2%, and while the quarterly and yearly Employment Rate Change figures showed minor increases, these were both lower than forecast. The ‘Kiwi’ declined by -0.3% against the Pound Sterling (NZD/GBP) and trended in a narrow range against most other competitors. The only real gains for the New Zealand Dollar today were a 0.2% rise against the Australian Dollar (NZD/AUD) and the Chinese Yuan (NZD/CNY). The Pound Sterling to New Zealand Dollar (GBP/NZD) exchange rate is set to rise tomorrow after the Bank of England (BoE) Monetary Policy Committee (MPC) meeting; although a UK interest rate hike is unlikely, any signs that the rate may be increasing in the future are sure to strengthen the Pound (GBP) against its competitors. The New Zealand economy doesn’t have any upcoming data releases until next week, so the current favourable position of the GBP/NZD pairing seems unlikely to shift in the immediate future. The Pound Sterling to New Zealand Dollar (GBP/NZD) exchange rate was trending in the region of 2.3900 and the New Zealand Dollar to Pound Sterling (NZD/GBP) exchange rate was trending in the region of 0.4186 today.